Where did I get them? – A collection of things, under a dollar. Everyday I get a bunch of objects that not only come under a dollar, but also the ones that cross my threshold of interestingness. In about a month of doing this project, I also saw myself venturing into narrow urban spaces that I knew about, but never had the inclination of probing more. So, this part is a documentation of the spaces that I get my collections from. Pintoo, the seller, has been selling these plastic toys for over a decade now. 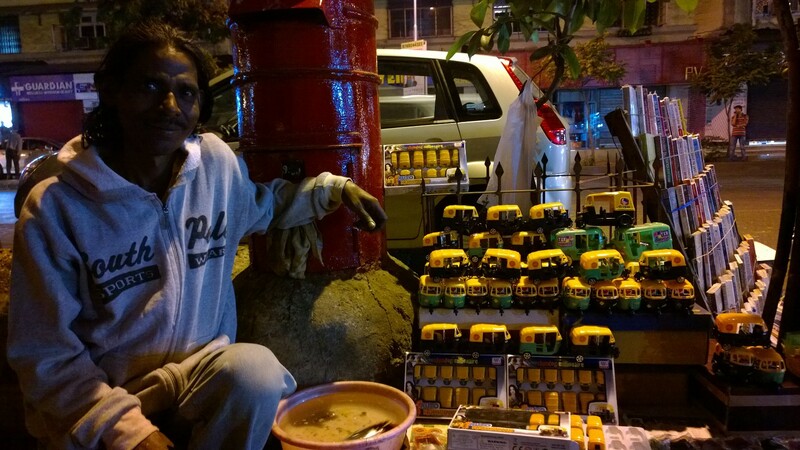 His family lives in some other part of India, while he is in Mumbai, earning his livelihood. He says it’s far better to be an entrepreneur than to work for someone else.